January 3, 2012 | Meagan Miller & filed under Uncategorized. Well, I have been in my position now for a little over six months. It has been quite a ride. A lot of firsts for me. Fundrive 2011 was probably the most exciting, exhilarating AND exhausting of all the projects the team has accomplished during my tenure. I have said it before and I will say it again, what an amazing group of volunteers CJSR has! We have also been able to replace and/or upgrade some of our equipment. One being our satellite dish and receiver. This has helped tremendously with our BBC reception. Working with the FACRA board has been dandy. Very alive, passionate and engaged group. 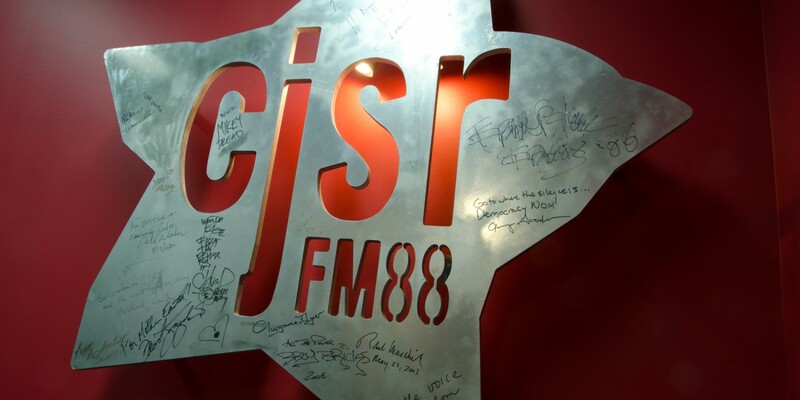 My goal for 2012 is to have a full complement of the board and work together to develop a strategic plan for CJSR. We are always looking for people who want to make a difference and get involved with FACRA. Whether you would like to attend a meeting, join a working committee or plunge in and be on the board. I also want to say kudos to our little staff team. Both Chad Brunet (music librarian/volunteer co-ordinator) and Fiona Yates (part-time admin assistant) made me feel right at home from my first day. We have most recently added a part-time production co-ordinator; Mark Rodgers. The mix is a good one. We all know that although we have job titles, it is our job to collectively keep the station moving forward! As we keep moving forward, I want to personally thank all our supporters for your patience and support.